The best way to SEARCH this page is CTRL+F using Microsoft Internet Explorer. NREL (Navy Reserve E-Lodging) [DOD EMAIL Certificate] – SELRES members to make their lodging requests online for drill weekends. Administrative Procedures for Naval Reservists (BUPERS INSTRUCTION 1001.39F) and DODI 1200.15. Navy BRM – Advancement exam preparation! Study guides, mock advancement exams, practice quizzes, free audio guides, central reference library, up to date bibs! My Navy Portal (MNP) – Advancement & Promotion – Verify eligibility for advancement, prepare for advancement exam and selection board review. See also the AWARDS section. See also the DCO (DIRECT COMMISSION OFFICER) (RESERVE OFFICER) section. See also the PROMOTION / COMMISSIONING section. Aviation Mentoring Initiative (AMI) – A community-wide initiative. Contact the AMI Leadership Team at nr-ami@googlegroups.com with any questions or suggestions to improve the effort. See also the NAVY APP LOCKER section. Advanced Skills Management (ASM) [DOD EMAIL Certificate] – A web-based training management tool that supports the identification and completion of job-related tasks, provides real-time assessment, identifies training deficiencies and provides immediate and focused access to training tools to track technical training across an individual’s military career, and the validation of knowledge and skills. It provides a structure for standardization of training requirements across an organization or platform while simultaneously allowing a component command the flexibility to address unique requirements.ASM supports training and readiness using task-based methodologies. It allows work center and line supervisors the ability to schedule daily maintenance activities with full visibility of up-to-date technician qualifications and gives individuals the ability to see their assigned training activities and easily track their progress. Official Navy Awards Web Service [DOD EMAIL Certificate] – Provides online access to Navy Awards information and assistance. See also the ADVANCEMENT section. Direct Commission Program (DCO) in the Reserves. See also the DCO (DIRECT COMMISSION OFFICER) section. NREL (Navy Reserve E-Lodging) – SELRES members to make their lodging requests online for drill weekends [Step-by-Step Instructions]. Blended Retirement System (BRS) – Beginning in January 2018, a new military retirement system that blends the traditional legacy retirement pension with a defined contribution to Service members’ Thrift Savings Plan account. Career Development Boards – The primary delivery method to ensure sailors are provided the guidance necessary to make informed career decisions based on current Navy policies, programs, and procedures. Goat Locker – Useful CPO/Navy information and links including history and traditions, anecdotes, graphics, cartoons, retirement info, and a private CPO only Forum. See also the EDUCATION / SCHOOL / TRAINING section. See also the JOINT SERVICE TRANSCRIPT section. See also the JPME (JOINT PROFESSIONAL MILITARY EDUCATION) section. See also the CAREER COUNSELOR section. Cybersecurity – Computer security, also known as cybersecurity or IT security, is the protection of computer systems from the theft or damage to the hardware, software or the information on them, as well as from disruption or misdirection of the services they provide. The Navy announced that effective immediately (27MAR2017), Sailors will no longer be required to log onto Navy Knowledge Online, Navy eLearning or My Navy Portal to complete General Military Training (GMT) for any topic except Cybersecurity as outlined in NAVADMIN 072/17. The DCO Onboarding Instruction (COMNAVRESFORINST 1120.3) was signed in Dec 2015 and details management and training requirements of Direct Commission Officers. This triggered the implementation of the newest MAS code: “DCO”. The DCO code will be applied to Direct Commission Officers to ensure they complete DCOIC (DCO Indoc) within their first year in the Navy Reserve. Additionally, the DCO code will ensure those members are not selected for mobilization. It is important to note that a Direct Commissioned Officer MUST use their first AT period to attend DCOIC, as no other orders will be approved until that member has attended the school. See also the MEDICAL section. Veteran Tickets Foundation (Vet Tix) – A national, non-profit, 501c(3) organization that gives free event tickets to Veterans, Active Duty Military and their families. See also the VETERANS DAY section. DSCATS [DOD EMAIL Certificate] (Defense Support of Civil Authorities (DSCA) Tracking System) – A system use to track all real world catastrophic events for the Navy Shore DSCA. VIDEO: How to create a DTS authorization for booking a flight or rental vehicle (Source: AME1 Hunter). VIDEO: How to create a DTS authorization and enter mileage for your POV (Source: AME1 Hunter). VIDEO: How to create a DTS Travel Voucher (Source: AME1 Hunter). EBenefits – A web portal managed jointly by the United States Department of Veterans Affairs (VA) and the DoD to provide Service members, Veterans and eligible dependents the ability to manage their VA and DoD benefits, claims, and military documents online. Member requests rescheduled dates VIA email from their LPO, DIVO and Dept Head. Once Approved by LPO, DIVO and Dept Head, Member logs into NSIPS (https://nsipsprod-sdni.nmci.navy.mil/) ) (NOTE: CAC Required, NOT EMAIL Certificate). On the NSIPS Home Page, click the EDM Home Page link (NOTE: This takes 1-2 mins to load the page). Skip this step and go to Step 5 if the Member has already logged in and updated their information. If this is the first time logging in, click Edit EMAIL Address and Phone Numbers, Verify information is correct and select Primary checkboxes for Phones & EMAIL Addresses, then click the Save button. Once saved, click the EDM Home link on left side of screen (NOTE: This takes 1-2 mins to load the page). On the EDM Home Page click the Create New IDT Request button. Select the Type of Request Drop Down Arrow then click Reschedule. Completed all the fields then click the Tasks and Accomplishments button. Fill in the box with what you plan to do during this drill period then click OK. Double check all fields for possible errors, then click the Submit button. Unit CO/XO will verify then Approve/Disapprove the drill request. If the rescheduled drill is Approved, the Muster Requirement must be completed. Member musters with an E6 or above to verify member is present. Verifier then logs into NSIPS (https://nsipsprod-sdni.nmci.navy.mil/) ) (NOTE: CAC Required, NOT EMAIL Certificate). Verifier clicks the EDM (Located on left side of home page) and clicks the Electronic Muster Report. Since searches are case sensitive, Verifier then types in one character of member’s last name in uppercase in the Name field box(Example: LCDR John Smith = S) and then click the Search button. Under the Drill Period Muster column, click the Drop Down Arrow for Present. Click Task and Accomplishments button and verify the box is filled in, and click OK. Under the Submit column, select the checkbox. Verifier then clicks Save button. Unit CO/XO will then verify the completed muster & Approve/Disapprove it. After Unit CO/XO Approves the muster, it is then routed to NRA (NOSC) for processing and pay. NOTE: A regularly scheduled drill, sailor can be mustered by another sailor. Then, two others must adjudicate (two unit approvers or combo of unit and FTS or two FTS). Then, there needs to be two NRA approvers. See also the GMT section. See also the COLLEGE section. E-Leave (Electronic Leave) – A web-based program that Sailors can access through their Electronic Service Record (ESR). The new method allows sailors to electronically route leave chits through the chain of command for approval. It automates the command’s leave control log and ensures pay and entitlements are properly credited. ETJ (Electronic Training Jacket) [DOD EMAIL Certificate] View personnel data including training, education, NECs, certifications, qualifications, awards, and career history. If you are loading NAVFIT98 to create databases and upload evals and fitreps on a computer with Windows 10, you must download the driver. Little Green Brain – An Evaluation input system (tool) for writing down all of your accomplishments to make writing your Navy evaluation simple. See also the FITREP (FITNESS REPORT) / EVAL (EVALUATION) section. Little Green Brain – A tool for writing down all of your accomplishments to make writing your Navy evaluation simple. See also the EVAL (EVALUATION) section. RC to FTS quotas are publish on the NPC website, apply through C-WAY by 31 August for consideration. If you are in the requested ratings submit your application regardless of YG restrictions. See also the NAVY RESERVE section. Funeral Honors Details – This service provided to the local community is one of the NOSC’s top two priority missions (the other being training and mobilization of SELRES). GovDelivery is the only digital communications platform exclusively for government, serving over 1000 public sector organizations around the world. See also the NAVY INFORMATION FORCES section. INFOSEC – the practice of preventing unauthorized access, use, disclosure, disruption, modification, inspection, recording or destruction of information. Joint Knowledge Online (JKO) – An online learning management/training system. Ka-Bar Knife – The traditional KA-BAR marked for Navy personnel. Tang stamped USN. Leather sheath included. See the SGLI (SERVICE MEMBERS’ GROUP LIFE INSURANCE) section. Navy Reserve CareerCompass – A Mentor is a trusted counselor or guide who is involved in the development and support of one who is less experienced. A Mentee is the more junior person being mentored. The Mentor/Mentee relationship will remain professional at all times so as not to create a perception of favoritism or fraternization. The act of mentoring focuses on the Mentee and the Mentee’s personal and career goals. Both work together to set career goals and address any questions, big or small, that the Mentee may have about the Navy Reserve. Mentors are E6 – E9, LDOs and CWOs, and O4 – O6 members. • Leading in an all-volunteer, professional force – See also the ADMINISTRATIVE PROCEDURES section. • * Different types of orders/drills (e.g. IDTs, ATPs, RMPs, IDTT, AT, ADT, ADSW) – See also the TEMPORARY DUTY/RECALL section. • * Mobilizations – See also the MOBILIZATION section. • * Writing EVAL/FITREPS with impact – See also the EVAL or FITREPS section. • * NAVFIT – tips and how to use – See also the EVAL (EVALUATION) section. • * NRRM (Navy Reserve Readiness Module) Helpdesk: NRRM-Support@innovasi.com or 619-647-3177 – See also the NRRM (NAVY RESERVE READINESS MODULE) section. • * Awards – See also the AWARDS section. • * RFMT – See also the APPLY [RESERVE FORCE MANPOWER TOOLS (RFMT)] section. • * APPLY – See also the APPLY [RESERVE FORCE MANPOWER TOOLS (RFMT)] section. • * JOAPPLY – See also the JOAPPLY (JUNIOR OFFICER APPLY) [RESERVE FORCE MANPOWER TOOLS (RFMT)] section. • * BUPERS Online – See also the BUPERS (BUREAU OF NAVAL PERSONNEL) / NPC (NAVY PERSONNEL COMMAND) / PERS (PERSONNEL) section. • * CMS-ID – See also the CMS-ID (CAREER MANAGEMENT SYSTEM (CMS) INTERACTIVE DETAILING (ID)) section. • FLTMPS – See also the FLTMPS (FLEET TRAINING, MANAGEMENT AND PLANNING SYSTEM) section. • * NROWS – See also the NROWS (NAVY ORDER WRITING SYSTEM) / TRAVEL section. • * NSIPS – See also the NSIPS (NAVY STANDARD INTEGRATED PERSONNEL SYSTEM) section. • APPLY Boards – See also the APPLY [RESERVE FORCE MANPOWER TOOLS (RFMT)] section. • * Career Development Boards (CDB) – See also the CAREER DEVELOPMENT BOARD (CDB) section. • Education and JPME – See also the JPME (JOINT PROFESSIONAL MILITARY EDUCATION) section. ◦ AQDs – See also the AQD (ADDITIONAL QUALIFICATION DESIGNATION) section. ◦ Awards – See also the AWARDS section. ◦ Missing EVALS/FITREPS – See also the EVAL or FITREPS section. ◦ NOBCs – See also the NOBC (NAVY OFFICER BILLET CLASSIFICATION) section. milConnect – Manage your benefits and supporting personnel records, including DEERS, TRICARE, SGLI / FSGLI, and GI Bill. Military Spouses Residency Relief Act (MSRRA) – Written to amend the Servicemembers Civil Relief Act, to include protection of military spouses, with regards to voting, property and taxes, and provide equitable treatment of military spouses [Additional reference from Military One Source: PDF]. My Navy Portal (MNP) is a system designed by Sailors for Sailors. MNP reduces the number of different websites and systems Sailors must visit, and is organized around 11 Career & Life Event (CLE) categories that encompass the most common personnel, training, and education tasks Sailors perform throughout their careers. New to the Navy – See information on A Schools and C Schools and reporting to your first command. Advancement & Promotion – Verify eligibility for advancement, prepare for advancement exam and selection board review. Assignment / Leave / Travel – Link to official Navy systems to negotiate orders, submit job applications, negotiate with detailer, understand and execute military travel, and execute a PCS transfer. NOTE: Assignment section has introductory content in the initial release. Career Continuation – View CWAY information and see Career Development Board and reenlistment resources. Collateral Duty – See information on Command programs. Deployment – Prepare for deployment, complete required training, understand and manage operational stress, and return from deployment. Pay & Benefits – Access myPay and understand military pay and benefits. Performance – See PRT scores, fill out and print PARFQ, track FEP progress, and learn how to establish and maintain physical readiness. Sailor & Family Support – View information, help, and assistance available for Sailors and their families. Retirement & Separation – Request separation and transfer to Fleet Reserve or retirement and schedule and complete tasks required for transition. Training / Education / Qualifications – View information on formal training; info on licenses, certifications, qualifications, education programs, military colleges and universities, and preparing for college. Navy Art Collection – Washington Navy Yard, Washington, D.C.
U. S. Navy Memorial Museum – Washington, D.C.
MyPay – View your Leave and Earnings Statement (LES); manage allotments, direct deposit, and tax withholding. Naval Sea Systems Command (NAVSEA) – Is a materiel agency of the United States Department of the Navy, responsible for the design, construction, and maintenance of military systems such as ships, aircraft, and weapons. Add other 4 system commands??? Navy College Program – Resources enabling higher education: prepare for entrance exams, request Tuition Assistance (TA), contact the Navy College Virtual Education Center (VEC), and more. Navy Credentialing Opportunities Online (COOL) to learn what civilian credentials pertain to your military training and experience and view resources available to help attain those credentials. Navy eLearning (NeL) [DOD EMAIL Certificate] (Help Desk: 1-877-253-7122 option 1 or NEL_HelpDesk.fct@navy.mil) – Use to enroll in and complete Navy Schoolhouse, Professional Military Education (PMW), General Military Training (GMT), and Information Assurance courses. Best Recommend annual time to update the NFAAS requirement is December 1 & June 1. Navy Reserve (NR) organization and components Structure – Purpose of reserve components [Source: 10 USC CHAPTER 1003 Sec. 10102]. The purpose of each reserve component is to provide trained units and qualified persons available for active duty in the armed forces, in time of war or national emergency, and at such other times as the national security may require, to fill the needs of the armed forces whenever more units and persons are needed than are in the regular components. The NR is the Reserve Component (RC) of U.S. Navy, and is broken down into several categories based service responsibilities and commitment status in contributing to the overall mission. It is comprised of the Ready Reserve, Standby Reserve and Retired Reserve-Inactive. Ready Reserve – The Ready Reserve provides a pool of trained service members who are ready to step in and serve whenever and wherever needed. It is made up of the Selected Reserve – which includes Drilling Reservists/Units as well as Full-Time Support (FTS) personnel – and the Individual Ready Reserve (IRR). Drilling Reservists/Units – These are designated Reservists who are available for recall to Active Duty status. They serve as the Navy’s primary source of immediate manpower. They typically fulfill the traditional service commitment of one weekend a month and two weeks a year. And they receive many of the same benefits and perform many of the same duties as their Active Duty counterparts. This includes persons on initial Active Duty for training. Full-Time Support (FTS) – These are designated Reservists who perform full-time Active Duty service that relates to the training and administration of the Navy Reserve program. They may be assigned to shore activities and commands or operational units. They typically are not reassigned to different locations as often as those on regular Active Duty. And they receive the same pay, allowances and benefits as Active Duty members. See also the FULL-TIME SUPPORT (FTS) section. Individual Ready Reserve (IRR) – This group consists of individuals who have had training or have previously served in an Active Duty component or in the Selected Reserve. Inactive status – These members of the IRR do not drill, are not obligated to take part in military activities, and receive no pay or benefits. Active status – Individuals assigned to the IRR may be eligible to receive pay or benefits for voluntarily performing specific types of Active Duty (AD) service. Standby Reserve – The Standby Reserve is made up of Reservists who have transferred from the Ready Reserve after fulfilling certain requirements established by law. Most common Standby Reservists are those who have been deemed key civilian employees by the government or those suffering through personal adversity or disability. While they are not required to perform training and are not part of any specific unit, they do create a pool of trained individuals who could be mobilized, if necessary, to fill manpower needs in specific skill areas. Retired Reserve-Inactive – The Retired Reserve-Inactive is made up of Reservists who are drawing retired pay or are qualified for retired pay upon reaching 60 years of age. Office of Navy Reserve: Appointment of Chief, Echelon I – The Chief of Navy Reserve (CNR) is the official within the executive part of the Department of the Navy who, subject to the authority, direction, and control of the Secretary of the Navy and the Chief of Naval Operations, is responsible for preparation, justification, and execution of the personnel, operation and maintenance, and construction budgets for the Navy Reserve. As such, the Chief of Navy Reserve is the director and functional manager of appropriations made for the Navy Reserve in those areas. (a) Establishment of Command.–The Secretary of the Navy, with the advice and assistance of the Chief of Naval Operations, shall establish a Navy Reserve Force. The Navy Reserve Force shall be operated as a separate command of the Navy. (b) Commander.–The Chief of Navy Reserve shall be the commander of the Navy Reserve Force. The commander of the Navy Reserve Force reports directly to the Chief of Naval Operations. 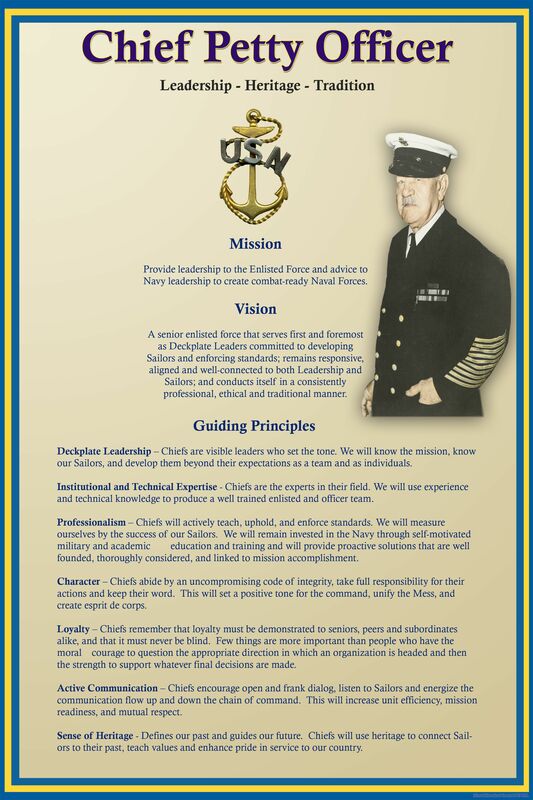 CNRFC is a 2-star responsible for establishing and managing Navy Reserve policy. CNRFC, also known as “ResFor” (Reserve Forces), is located in Norfolk, Virginia. Most RCC’s are commanded by a Navy O-6. Navy Operational Support Centers provide administrative oversight and coordination of Navy Reserve Units (NRU). The rank of the NOSC CO varies between O- 4 and O-6, based upon the number of SELRES assigned to a given NOSC. NOSCs are also referred to as Naval Reserve Activities (NRA). Naval Reserve Units support operational commands while also monitoring the mobilization readiness of respective Reserve personnel. NRU’s are also referred to as Naval Reserve Activity Unit (NRAU). NETC (Naval Education and Training Command) – a major command of the US Navy responsible for training. Schools and reporting to your first command. Ask for a ‘Welcome Aboard Package’ (Examples) and if they do not have one; ask another person. Honor Flight Network – A non-profit organization created to honor America’s veterans for all their sacrifices by transporting our heroes to Washington D.C. to visit their memorials. Wounded Warrior Project (WWP) – A nonprofit 501(c)(3) organization charity and veterans service organization that offers a variety of programs, services and events for wounded veterans of the military actions following September 11, 2001. U.S. Naval Institute – A nonprofit professional military association, established in 1873, that seeks to offer independent, nonpartisan forums for debate of national defense and security issues. NRRM (Navy Reserve Readiness Module) [DOD EMAIL Certificate] Helpdesk: NRRM-Support@innovasi.com or 619-647-3177 – A comprehensive data viewing system designed to consolidate, store and manage readiness information for the Navy Reserve. This web-based program provides the capability for display and analysis of readiness data at various levels of detail to give the user a clear picture of current readiness. Ombudsmen – An official representative of the Commanding Officer (CO) and plays a vital role in establishing and maintaining current and accurate communication between the command and its family members. Ombudsman Registry – The registry allows CNIC to deliver real time communication and information to Commanders, Ombudsman , and Ombudsman Coordinators. Commands are required to register their ombudsman, and ensure that required worksheet data is submitted per OPNAVINST 1750.1 series. Operational Risk Management (ORM) – Defined as a continual cyclic process which includes risk assessment, risk decision making, and implementation of risk controls, which results in acceptance, mitigation, or avoidance of risk. ORM is the oversight of operational risk, including the risk of loss resulting from inadequate or failed internal processes and systems; human factors; or external events. OSPADES – The authoritative resource for determining allowable unit-level additional drill distributions. A) Unit COs will not authorize additional drills to be scheduled if those drills are not distributed to them, as indicated in Web-OSPADES. Further, Unit COs must account for processing time/Web-OSPADES lag and track all authorized additional drills to ensure unit execution does not exceed unit distributions. B) Unit COs must contact their respective OSO/PM with any questions regarding Web-OSPADES reports; Operational Support Office (OSO) (use to be, Reserve Liaison Officer ((RLO)) should contact their respective Pillar Lead for support. View official Pay, Personnel, and Travel Standard Operating Procedures (SOPs) for Sailors, commands, and Personnel Support Departments (PSDs). Begin your annual Periodic Health Assessment (PHA) online at the Navy’s ePHA website. Officer Photograph can be done by appointment at the Combat Photography on base. advancement, prepare for advancement exam and selection board review. Officer Record Management – Gouge on how to keep your record up-to-speed. I, (name), do solemnly swear (or affirm) that I will support and defend the Constitution of the United States against all enemies, foreign and domestic; that I will bear true faith and allegiance to the same; that I take this obligation freely, without any mental reservation or purpose of evasion; and that I will well and faithfully discharge the duties of the office on which I am about to enter. So help me God. RAPIDS Appt. Scheduler – A website that allows any CAC or ID card customer may schedule an appointment for card services. APP: Ready to Serve (R2S) app – The goal is to enable SELRES to report for duty across the globe and return to home of record, receive broadcasts, access pay and personnel information, and send/receive official e-mail using only an approved mobile device. This project is lead by the Navy Reserve CIO and is fulfilling strategic imperatives set by the Chief of Navy Reserve in the 2015-2025 Navy Reserve Vision [PDF]. See also the PAY / LES (LEAVE & EARNINGS STATEMENT) section. Sailor 2.1 [DOD EMAIL Certificate] –Spawar’s website for tech data and training material for IT and Cyber sailors. Sailor 2025 – A Navy’s program to improve and modernize personnel management and training systems to more effectively recruit, develop, manage, reward, and retain the force of tomorrow. The Sanctuary Program as defined by Title 10 of the United States Code, is a federal program for protecting military service members from being forced to leave military service when they are close to attaining active-duty retirement eligibility. “Challenge the Force … Change the Game.” Innovation combines the ideas, insights, and resources of Sailors, Marines and civilians in new ways to benefit the naval services. Link to the Naval Innovation Network (NIN) to connect and collaborate on innovation activities across the naval services, components and levels. The Servicemembers Civil Relief Act (SCRA) (formerly called the Soldiers’ and Sailors’ Civil Relief Act) (codified at 50 U.S.C. §§ 3901—4043) – a United States federal law that protects soldiers, sailors, airmen, marines, and coast guardsmen from being sued while in active military service of their country and for up to a year after active duty, as well as U.S. citizens serving with allied military forces for the duration of a military conflict involving the United States. SGLI (Servicemembers’ Group Life Insurance Election and Certificate) (SGLV 8286) – A program that provides low-cost term life insurance coverage to eligible Service members. SOES (SGLI Online Enrollment System) – Beginning April 2017, members of the Navy can manage their SGLI coverage using the SOES. SPAWAR Acquisition & Integrated Logistics Online Repository (SAILOR) [DOD EMAIL Certificate] – An application designed to deploy critical logistics, configuration files, and technical documentation and to provide a single point of entry to retrieve systems support information for SPAWAR programs of record. Naval Supply Systems Command (NAVSUP) – A command of the United States Navy. Headquartered in Mechanicsburg, Pennsylvania, the NAVSUP and Navy Supply Corps team deliver logistics and support to the Navy. Navy Supply Corps – The United States Navy Supply Corps is the United States Navy staff corps concerned with supply, logistics, combat support, readiness, contracting, and fiscal matters. See also the SPACE-A TRAVEL section. TWMS – A database used for civilians AND all Navy Cyber security personnel to track training and certifications for Info Assurance. Help Desk: eas@ctirms.com (primary), TWMSAdministrator@navy.mil (secondary); or NMCI Help Desk toll 1-888-264-4255 (DSN: 942-6597) and select the TWMS option. 04AUG2016 – The Navy announced in NAVADMIN 174/16 it will transition from the Navy Working Uniform (NWU) Type I to the NWU Type III as the service’s primary shore working uniform beginning Oct. 1, 2016. Over the next three years, Sailors may wear either the NWU Type I or III, but effective Oct. 1, 2019, all Sailors will be expected to wear the NWU Type III as their primary Working Uniform when ashore or in port. The United Services Military Apprenticeship Program (USMAP) provides enlisted Sailors (AC, FTS) the opportunity to complete civilian apprenticeship requirements while on active duty and earn a U.S. Department of Labor “Certificate of Completion” and Journeyman card upon program completion. Watch Bill – A watch system, watch schedule, or watch bill is a method of assigning regular periods of work duty aboard ships and some other areas of employment. A watch system allows the ship’s crew to operate the ship 24 hours a day for the duration of long voyages or operations. Executive officers (XOs) are assigned to all ships, aviation squadrons and shore units and installations. YN – Yeoman – A yeoman is an enlisted person within the United States Navy that performs administrative and clerical work. ZULU Time – Greenwich Mean Time (GMT). Phenomenal work in collecting these links and for keeping it up-to-date as well!! I work in Administration and this is extremely helpful! https://skimfeed.com/ uses an aggregate model for organizing topics and links. Since your site already is organized alphabetically, it could be sorted in same way. The titles and heading are short enough that with a smaller font, it could displayed in the way skimfeed uses. The NSIPS link is incorrect on here and needs the updated website. Yet another Navy Reserve link to add. The current link that you have for MRRS is not working. I am attaching the most up-to-date link. Awesome job, and thank you for doing this. I have most of the websites that I go to bookmarked/favorited, but that only works if I am on the same computer as before, but that doesn’t really happens a lot. Can you please add the Navsea’s Surgemain website? Thank you Kelly, works great.